Shoji Murahama, one of the founding member of Gonzo, has left the studio this April to set up his own company Lambda Film, and some anime fans must've been wondering what he's got in store next. 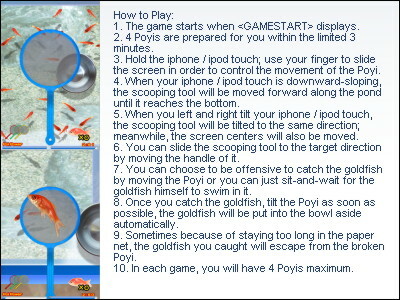 Turns out the studio's first project is not an anime but a game for iPhone/iPod Touch. 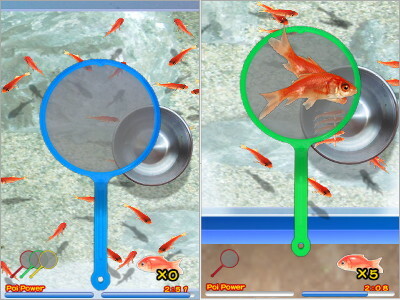 "Goldfish Scooping" iPhone app came out on November 3, 2009 and seems to be received quite well, marking 8th in the bestselling paid game chart in App Store Japan. All Japanophile and anime fans must be familiar with goldfish scooping: Haruhi & co. did it in Endless Eight, Kagami did it in Lucky Star(the last 15 sec. on this video) Usagi and her fellow Sailor Scouts even manned a stall once. 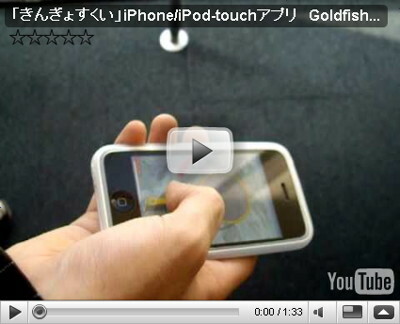 The app is available word-wide so now you can finally find out what's so great about it without a trip to Japan. Video and pics after the cut! 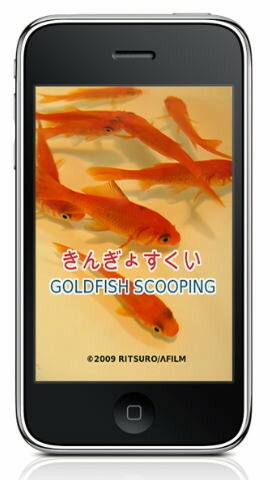 Goldfish scooping is one of the indispensable element of summer, a crowded stall can be found in most summer festivals throughout Japan and there's even a national competition of the game. But some people consider it cruel, violation of animal rights. 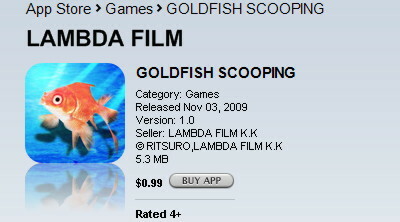 Who knows how many little fishes die during the whole operation? 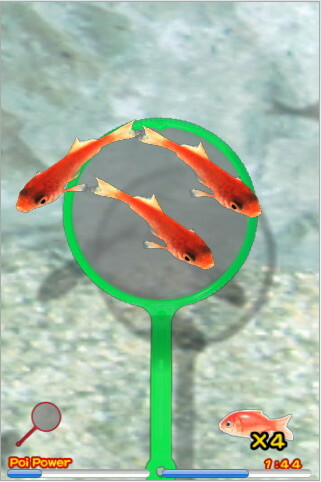 The game is realistic, look-wise and motion-wise, but we're sure there's no dead fish involved here. The "goldfish scooping" game is accomplished by imitating the scooping actions with changing the tilt angle of your iphone / ipod touch. Here we name the paper net on the top of the scooping tool Poyi.